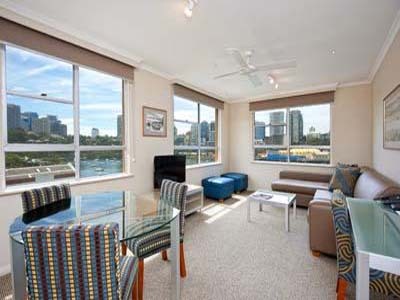 This unique serviced apartment hotel is located in the stylish Sydney northern harbour front suburb of McMahons Point. 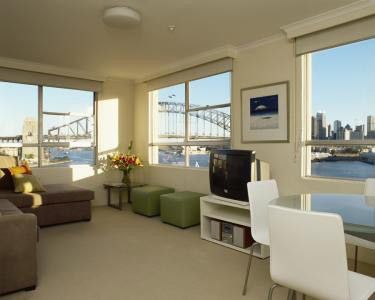 Harbourside Apartments waterfront location allows uninterrupted, spectacular views of the Sydney Harbour including the Sydney Harbour Bridge, Lavender Bay and Sydney Opera House as well as the picturesque Sydney city skyline. Sydney’s CBD, Darling harbour, Chinatown even Taronga Zoo are all a short ferry ride - with the ferry leaving from right out front of the hotel, The business district of North Sydney is easily accessible from from the hotel. 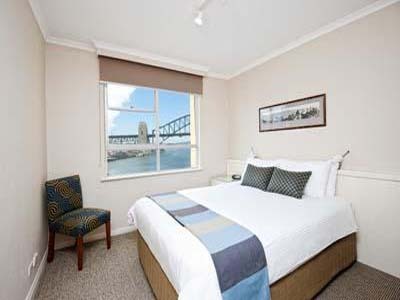 This serviced apartment hotel has equal appeal to business executives needing to be near to their place of work in North Sydney, Wollstonecraft, Crows Nest, St Leonards or Kirribilli as well as to tourists to Australia's most famous city - wishing to experience the postcard views of the Sydney Harbour icons. 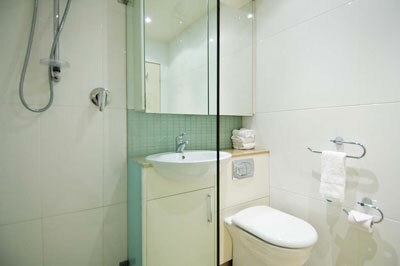 The apartments include private bathroom, full kitchen which is great for self catering, cable TV and a CD player. Added amenities include bathrobes, hairdryers, fax/modem telephone line, ironing equipment, in room safe and tea and coffee making facilities. 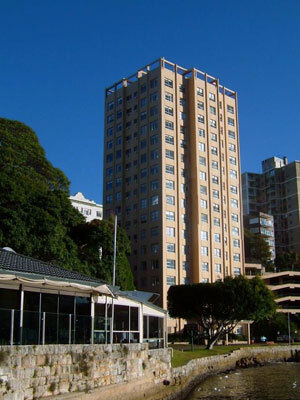 Apartments are serviced daily and high speed internet access is available for an extra cost. 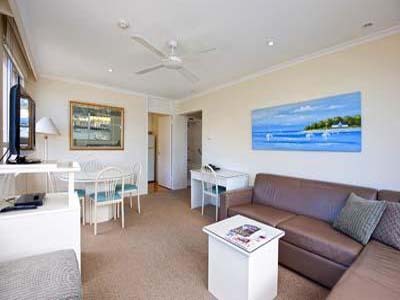 Hotel facilities include limited reception hours (7am-11pm), complimentary car parking, laundry and dry cleaning services, daily newspapers and even a private jetty. There is also a waterfront swimming pool and barbeque area plus babysitting services and a continental breakfast basket available for an extra cost. 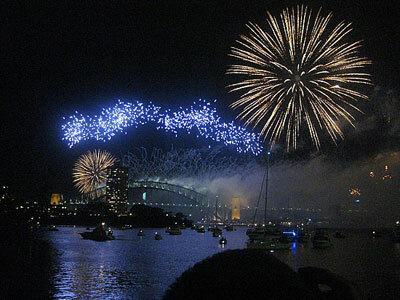 An independently run restaurant, Sails on Lavender Bay, is a great place to have dinner right next to the hotel. 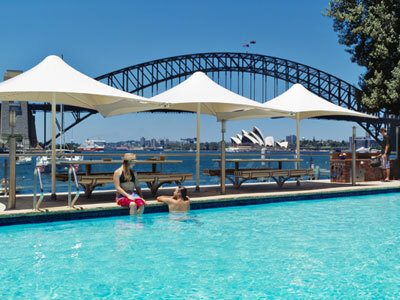 If you feel your Sydney accommodation should be in a leafy and peaceful setting and be only minutes to the excitement of the city centre, Harbourside Apartments may be the place you may wish to stay in Sydney. Directions to parking: Three onfloors of -site under cover parking offered free of charge to in-house guests.